© AFP / Lionel Bonaventure | Police patrol in Paris on November 14, 2015 at the Eiffel Tower, which has been closed to the public following a series of coordinated attacks in and around Paris late November 13, that left at least 128 people dead. In times of crisis, governments often impose a state of emergency in which national security takes priority over individual rights originally safeguarded by the state. A state of emergency and the ensuing heightened security measures are intended to last for a short period, during which the government attempts to secure the state and restore order after facing imminent danger. In the case of France, a state of emergency is declared by the President with approval by the Council of Ministers in cases of ‘imminent danger arising from grave attacks on the public order, or circumstances demonstrating public calamity.’  However, the renewal of the state of emergency in France has had a minimal effect on averting terrorist threats and has had disproportionately affected citizens of migrant backgrounds as the extended powers of search, seizure and detention have led to profiling and potential abuse. Since the terrorist attacks in Paris (in 2015) and in Nice (in 2016), France has been under a continued state of emergency with no clear end in sight. After the initial Charlie Hebdo attacks in January 2015, President François Hollande declared a state of emergency in Paris. This was then extended to a nationwide state of emergency in November 2015 after the second terror attack on various locations throughout Paris, which killed 130 people. Since the Nice attacks in 2016, this nationwide-state of emergency has been maintained and recently extended by French lawmakers until after the 2017 elections. The current state of emergency law allows the government greater policing powers and the ability to conduct searches without warrants, ‘shut down demonstrations, impose curfews, confiscate weapons, and put people under house arrest.’ Given the increasing frequency of terror attacks, France has tightened existing counter-terror measures to decrease the likelihood of yet another terrorist attack against the nation. The French government voted to write the state of emergency law into the constitution as of February of 2016 which expands policing powers even further. The ensuing proposal to ban individuals holding double citizenships of their French one – if convicted of terrorism-related offences – also sparked serious debate. Considering that most French citizens with dual citizenship come from migrant backgrounds, fears that this could lead to higher incidences of migrants being treated as ‘second-class citizens’ rose. President Hollande withdrew this proposal after it caused much backlash and controversy. The state of emergency has proven to have negative effects on human rights. Most notably, these negative consequences affect French Muslim and North African populations, as they make up the majority of those who have been subjected to searches and placed under house arrest. This has led to increased profiling as well as tensions between ethnic French and Arab communities. According to Human Rights Watch, ‘This abuse has traumatized families and tarnished reputations, leaving targets feeling like second-class citizens.’ Bernard Cazeneuve, the French Interior Minister released a statement after the November 2015 attacks condemning the abuse of these expanded powers: some restaurants and homes near Paris were raided and had their doors broken by the police. In another report, the police broke into the home of a couple in the Barbés district in Paris and began beating two men. The police detained the couple and claimed they acted because they heard them use the term ‘Daesh.’ The use of violence and increased suspicion deny these people basic rights such as security and due process. Despite the dramatic efforts of the French government to identify terror suspects through its emergency measures, only 7 percent of 4,000 searches under the emergency laws have led to court proceedings. Furthermore, post-November 2015 attacks, between 350 and 400 people were placed under house arrest; yet, the Paris counter-terrorism office only opened five terrorism-related investigations during the same period. In reality, French legislation offers favourable powers to its judiciary to proceed with prosecutions against terrorist suspects. The low percentage of court hearings resulting out of measures from the state of emergency laws poses serious questions about their effectiveness. A study conducted by a Parliamentary Commission of Inquiry found the continued state of emergencies as having a ‘limited impact’ on security. In terms of the deployment of soldiers at heritage and religious sites, the committee has questioned their usefulness as well. Under operation ‘Sentinelle’, combat troops are deployed to patrol and protect heritage sites as well as religious sites, streets, and art galleries. With over 10,000 troops across France, 6,500 have been deployed in the Paris area alone. Their presence and effectiveness in combatting terrorism have come into question. For some, uniformed soldiers with guns normalise a militarised state. While their presence provides more comfort to the locals as well as tourists, it does not help counter-terrorism efforts, as groups like ISIS have proven to be more sporadic rather than symbolic in their targets. The populations most affected by these extended policing powers reside in France’s suburbs or banlieues. The term ‘banlieue’ has become a pejorative term referring to poorer suburbs that are located on the outskirts of French cities contain majority migrant as well as Arab populations. These populations find themselves increasingly isolated and stigmatised by society. As these heightened policing measures are increasingly used in the banlieues of France, there is a deterioration of trust between the French-Arab communities and law enforcement. Without a positive relationship between these communities and the government, it makes it more difficult to gather intelligence concerning radicalisation. Therefore, the continued usage of the state of emergency is not effective if the government fails to develop adequate community-based preventive measures. The persistence of the state of emergency is normalising extreme security measures in the name of national security while stripping some citizens of their basic constitutional rights. In their counter-terrorism efforts, lawmakers place too much focus on stricter security without regard for ameliorating social divisions and problems. Instead, the government should focus on the de-stigmatisation of the banlieues, ensure outreach to local Mosques, and increase prison imams. The state of emergency and its policies are exacerbating societal divisions and must change in 2017. Silvia Sclafani (@ssclafani24) is completing a master’s degree in International Conflict Studies at the Department of War Studies at King’s College London. She has a bachelor’s degree in International Affairs from the George Washington University and can be reached at ssclafani24@gmail.com. Daniel Severson. 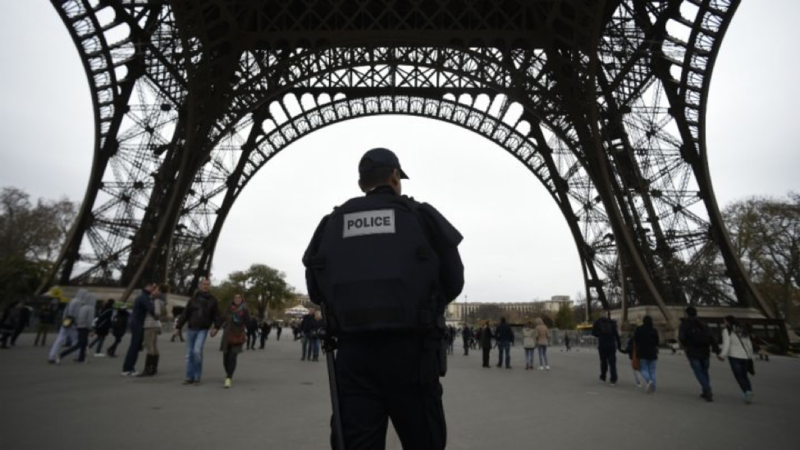 ‘State of Emergency: How the Paris Attacks Expanded France’s Police Powers,’ Lawfare. November 15, 2015.